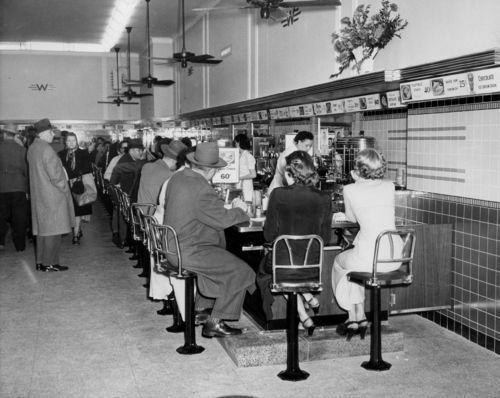 This black and white photograph shows the lunch counter at the F.W. Woolworth store in Wichita, Kansas. The store was located in the second block of East Douglas street. The photo shows a number of patrons eating at a long, narrow counter.